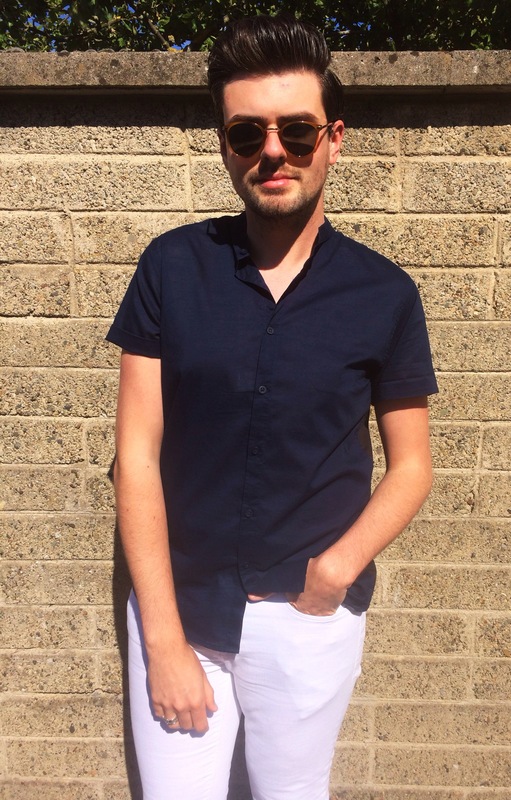 Hey guys and gals, just a quick little post to let you in on a recent fash-fabulous find of mine- this chicy grandfather collared shirt from Penneys! 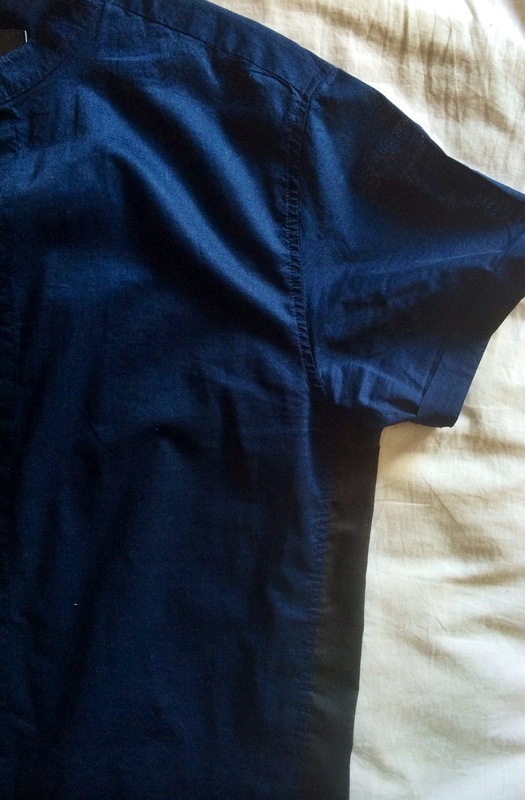 A total steal at just €7, this short sleeve number also comes in khaki green, with its black contrast panel down each side acting as that faux-designer finish. I for one often grow weary of wearing t-shirt after t-shirt on balmy summer days, and am always on the lookout for dressier alternatives to that exhausted seasonal staple. 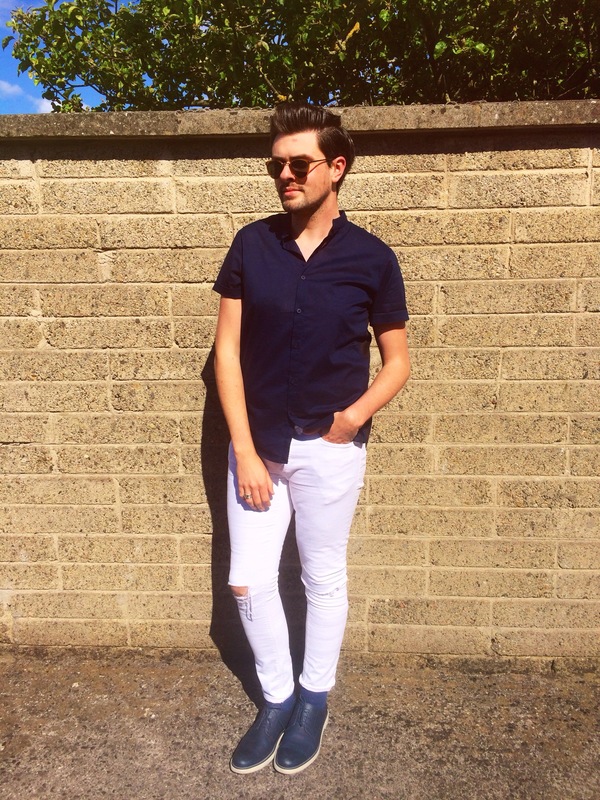 For this look, I teamed the shirt with my River Island Stretch Skinny ripped denims (€45) and these Benetton brogues (€85.95), topped off with my favourite sunnies du jour from H&M (€9.95). This piece will also be perfect layered open over a Breton stripe tee and chino shorts, or buttoned up to the neck with ripped black skinny jeans and Docs for a glam-grunge festival effect. 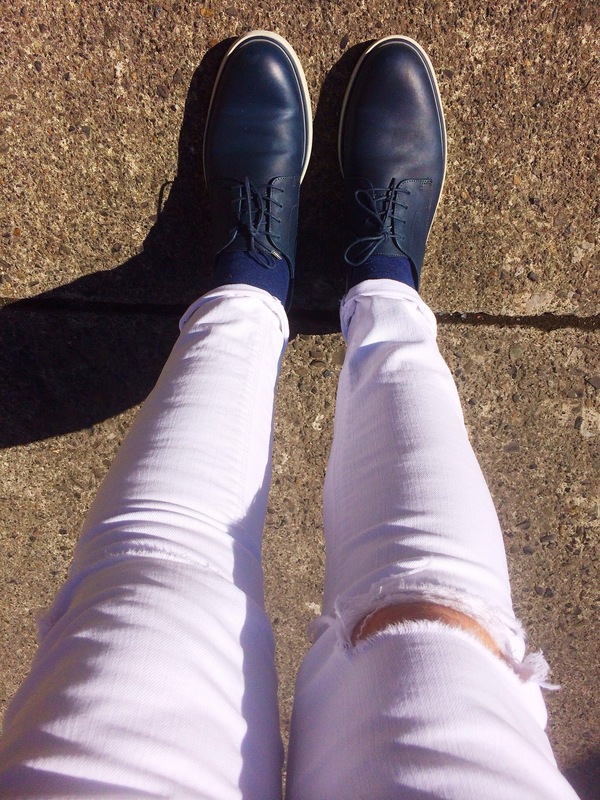 Or, simply pop it on under your favourite blazer and pants combo in corresponding colours- the possibilities are endless! So fashion friends, what do you make of my chicy bargain find? I do hope you like it! 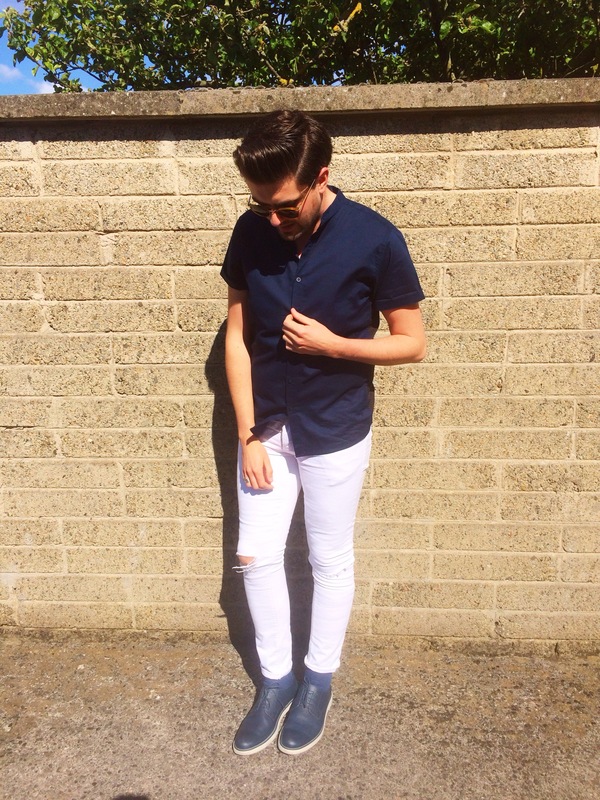 Tagged bargain, fashion, gay, menswear, ootd, penneys, shoes, style, summer, sunglassesBookmark the permalink.